In collaboration with the support group SOAR MALTA, we bring you the first in a series of articles written by women who wish to share their first-hand experiences of domestic abuse. In today’s article NANCY ABELA talks about what it feels like to be in a relationship with a Narcissist and how to recognise the signs. ….And the handsome prince swept the beautiful princess off her feet and they galloped off to his palace…and THEY LIVED HAPPILY EVER AFTER. Only they don’t. The scenario above is a perfect preparation for this little girl to become the willing, albeit unsuspecting, prey of one of the worst scourges that plagues our society: the Narcissistic male. The term Narcissism is used loosely in everyday life. Anyone who is perceived as conceited or vain is labelled a Narcissist but to those familiar with the concept of Narcissistic Personality Disorder the reality goes deeper and is infinitely more sinister than the uninitiated would suppose. That is because Narcissists are, without exception, chronically abusive especially within the domestic environment and the serious repercussions on their victims may very well last for a lifetime. This however does not imply that females cannot also be Narcissistic or perpetrators of domestic violence. The abuse inflicted by women would often vary in style (it may be more covert due to social expectations related to their gender) but the repercussions on their victims would have the same devastating effect. Having said all this let us give a brief overview of who the Narcissist is and try to answer the age-old question of why a victim would get entangled with such a person and even more why she would stay with him, sometimes for years, after the abuse starts. In our fast-paced society, stereotypes are very prevalent for the simple reason that most of us are too busy to dig deeper into the complexities of the human psyche. We leave that to psychologists and philosophers while we juggle work, family and leisure as best we can. I have noticed that there is a recurrence of these stereotypes in our local works of fiction be it literary, theatrical productions and especially television drama. You can instantly recognise the goodie and the baddie. The goodie has all the attributes of a saint, the baddie is evil incarnate. No shades of grey. No subtelty. Thus we think that we can also recognise good and evil people in real life and that is where the trouble starts when we are faced by a pathology like Narcissistic Personality Disorder. On first encountering the Narcissist one is often charmed by his good manners, wit and overall charm. The Narcissist is often well-dressed and well-spoken. He comes from all walks of life. Many Narcissists are described as having the gift of the gab. Often you feel an instant connection to the Narcissist. Narcissists can be very generous and are the first to offer help when the need arises. This is often mistaken for kindness but, in fact, the person suffering from this psychiatric disorder can never be truly kind because he is totally bereft of empathy and is highly exploitative and manipulative. What makes a Narcissist tick? A Narcissist lives solely for one purpose: to acquire what experts in the field have termed Narcissistic supply. It is the drug of their choice and they can never get enough of it. This ‘supply’ includes admiration, adulation, flattery, attention but also control and power over others. They would do anything and spare no-one in order to have a steady supply. They rate the people around them according to how much they are able to gratify this addiction. The Narcissist is very careful to present a positive facade to society in general. They are often considered by colleagues and neighbours as model citizens and are often involved within religious organisations and hold positions of great responsibility. They have a way of ingratiating themselves with the right people who can help them climb up the social ladder. When a Narcissist is romantically interested in a woman he woos her using all of his considerable charm. He focuses his attention solely on her and makes her feel ‘special’. 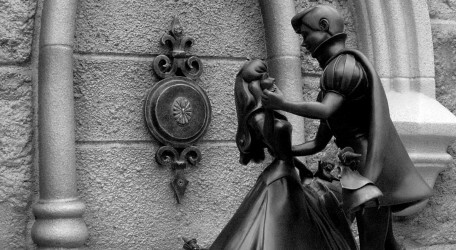 He sweeps her off her feet like in any reputable fairy tale. He chooses a mate that he considers to be worthy of him. She is usually attractive, intelligent, successful, popular but most importantly she has an elevated level of empathy and greatly invests in her relationships. Imagine the huge fix for him when throughout the years or even months she spends with him he reduces her into a pitiful state of shambles. For him this transformation is the ultimate proof of his power and superiority. How does he do it and why does she allow it? After he has charmed her and won her trust he starts undermining her relationships with those around her so that she will end up emotionally cut off from the rest of the world and he will have full control of her. He starts portraying himself as the victim of many injustices and his highly empathic mate will feel the need to nurse his hurts and nurture him. He makes her feel special because she is the only one in the world who can understand him and the only one who can help him. He then starts to alternate episodes of cold aloofness with profuse apologies and gestures of affection. This has been scientifically proven to alter the chemicals in the brain of the victim and create a highly addictive pattern. It is like living with Dr. Jekyll and Mr. Hyde. The victim craves the attentive ‘kindness’ she receives from Dr. Jekyll and is willing to do anything to get another taste of it but Mr. Hyde becomes slowly and inexorably ever more present while Dr. Jekyll becomes more scarce. Mr. Hyde in turn becomes more abusive psychologically, emotionally, verbally and even physically. The victim’s self-esteem is by this time eroded and she has nobody to turn to. She is usually in a dazed state of denial and even if she were to reach out in her confused state she would not be lucid enough to express herself properly. She is also disadvantaged by the fact that he is known by everyone to be an exemplary citizen and with his suave charm can dupe even trained professionals. If and when the victim realises what is going on and tries to leave she often finds no support, her inner resources have been seriously damaged and is often manifesting physical or psychological symptoms of extreme stress. In this state she will have to rebuild her life sometimes with a child or several children in tow. The Narcissist who finds himself suddenly bereft of his primary ‘source’ will do anything to get her back. He will fake tearful remorse, will start treatment (which abruptly stops once she gets back) in an attempt to fake a conversion and he will pull the strings of her guilt by manifesting his ‘injured’ side thus coaxing her into the ‘carer’ role once more. If the victim falls for these ruses she will soon realise that her position is now worse off because the fact that he convinced her to return is making him feel more powerful than ever and thus the abuse escalates. The only sane decision such a woman can take is to leave and never, ever return. If you or someone you know is in an abusive relationship you can contact SOAR MALTA at the St Jeanne Antide Foundation 21808981 or email [email protected] or contact them on Facebook.